July 20th, 2016 Please Join Us for a Mt. 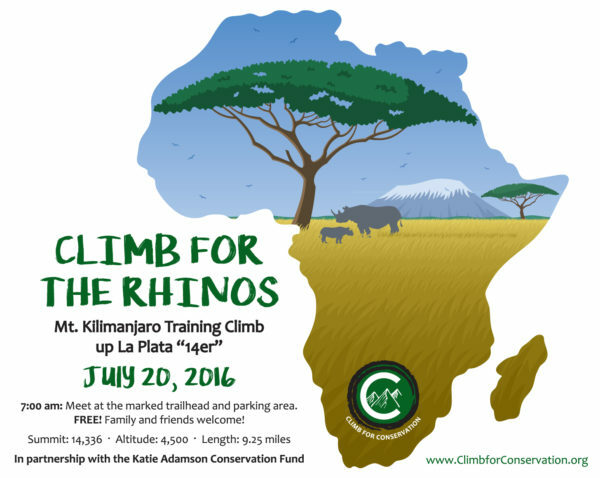 Kilimanjaro Training Climb up Colorado’s La Plata “14er”! 7:00AM meet at the marked trailhead and parking lot. Bring water, sunscreen, a hat, snacks, and comfortable hiking boots. 9.25 miles and 4,500 feet elevation!